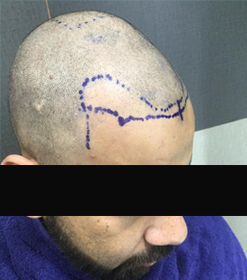 With modern life getting increasing competitive, there is a surge in demand for high quality dermatological and cosmetic procedures for hair and scalp disorder. Both men and women want to look good and they are ready to spend on pharmaceutical and cosmoceutical procedures in order to look younger, healthier and more in control of themselves. High number of searches for trichologist cosmetologist in Delhi indicates that the emotional stress associated with hair and scalp disorders is high. ‘Hair specialist’ is what you will call in simple terms a trichologist cosmetologist Identifying and treating the root cause of hair breakage, hair fall, miniaturization of hair and advice the best course of action in tackling the diseases of the scalp. Offering honest and ethical solutions is what endears patients to doctors in this field and the retention rate of patients is quite high. Quite often patients ignore hair loss as a temporary phenomenon that will go away after a short illness but they get scared when hair loss picks up speed. High volume of hair on the pillow or in the shower can be devastating. Stress can aggravate hair loss and reducing stress at work or at home is not easy. Even your spouse can get nervous and it might become embarrassing for her as onlookers will blame him/her for not taking good care of their partner. Social conditioning tells us that hair loss, hair thinning leading to a M shaped or horse shoe shaped leftover hair is either due to work related stress or protein deficiency. Both factors are indeed correct but a trichologist cosmetologist in Delhi will go deeper and find other associate causes and eliminate hair loss leading to re-growth of hair. Certain drugs also cause hair loss and if any medication is responsible for hair loss the recovery will be fast as this kind of hair loss are fully recoverable. Allergic reactions and infections can cause this complication. Often a multitude of factors result in hair loss. Stress, protein deficiency and vitamin deficiency coupled with physical or emotional trauma being the highest. For best results, the trichologist cosmetologist needs to work in close conjuction with a dietician, hair dresser, GP and nutritionist in order to ascertain any vitamin or mineral deficiency. Trichology is a formulated way of dealing with hair and scalp disorders in a systematic and methodical way using both surgical and non-surgical techniques. Patients should not expect magic and they should be realistic in their expectations from their trichologist. 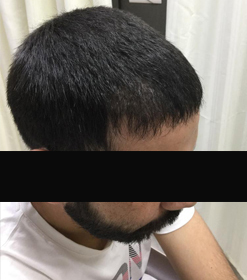 The best trichologist cosmetologist in Delhi will try and treat the disease in a holistic manner rather than use any short-cuts or orthodox techniques that will bring short term relief but result in relapse of the scalp disorder.